Super Black 2018 Nissan Maxima 3.5 S FWD CVT 3.5L 6-Cylinder Nissan South Union City conveniently located off Interstate 85 South at 4080 Jonesboro Rd, Union City, GA operates on our solid reputation of having the latest Nissan models, quality pre-owned vehicles in a large variety of makes and models, an affordable payment savvy finance department, as well as a professionally trained service and parts center to serve every customer’s automotive needs. If you’re searching for a new or pre-owned Nissan with low monthly payments, come by the Nissan South Union City’s dealership. We look forward to assisting you find the car, truck, SUV or minivan that you want. 21/30 City/Highway MPG Nissan South Union City also offers automotive loan financing through our Finance Department. Ask one of our finance managers about our Credit Assistance Program. Our dedicated team of sales and finance associates treat our customers with care and take your automotive concerns seriously. Our mission is for you to have a pleasurable car-buying experience with us and see you drive away in your new or used Nissan! Come by our dealership at 4080 Jonesboro Road in Union City or call us at (770) 964-4900. We look forward to assisting all our customers in the greater Atlanta area. Super Black 2019 Nissan Maxima 3.5 S FWD CVT with Xtronic 3.5L 6-Cylinder Nissan South Union City conveniently located off Interstate 85 South at 4080 Jonesboro Rd, Union City, GA operates on our solid reputation of having the latest Nissan models, quality pre-owned vehicles in a large variety of makes and models, an affordable payment savvy finance department, as well as a professionally trained service and parts center to serve every customer’s automotive needs. If you’re searching for a new or pre-owned Nissan with low monthly payments, come by the Nissan South Union City’s dealership. We look forward to assisting you find the car, truck, SUV or minivan that you want. 20/30 City/Highway MPG Nissan South Union City also offers automotive loan financing through our Finance Department. Ask one of our finance managers about our Credit Assistance Program. Our dedicated team of sales and finance associates treat our customers with care and take your automotive concerns seriously. Our mission is for you to have a pleasurable car-buying experience with us and see you drive away in your new or used Nissan! Come by our dealership at 4080 Jonesboro Road in Union City or call us at (770) 964-4900. We look forward to assisting all our customers in the greater Atlanta area. Super Black 2018 Nissan Maxima 3.5 SL FWD CVT 3.5L 6-Cylinder Nissan South Union City conveniently located off Interstate 85 South at 4080 Jonesboro Rd, Union City, GA operates on our solid reputation of having the latest Nissan models, quality pre-owned vehicles in a large variety of makes and models, an affordable payment savvy finance department, as well as a professionally trained service and parts center to serve every customer’s automotive needs. If you’re searching for a new or pre-owned Nissan with low monthly payments, come by the Nissan South Union City’s dealership. We look forward to assisting you find the car, truck, SUV or minivan that you want. 21/30 City/Highway MPG Nissan South Union City also offers automotive loan financing through our Finance Department. Ask one of our finance managers about our Credit Assistance Program. Our dedicated team of sales and finance associates treat our customers with care and take your automotive concerns seriously. Our mission is for you to have a pleasurable car-buying experience with us and see you drive away in your new or used Nissan! Come by our dealership at 4080 Jonesboro Road in Union City or call us at (770) 964-4900. We look forward to assisting all our customers in the greater Atlanta area. Super Black 2019 Nissan Maxima Platinum FWD CVT with Xtronic 3.5L 6-Cylinder Nissan South Union City conveniently located off Interstate 85 South at 4080 Jonesboro Rd, Union City, GA operates on our solid reputation of having the latest Nissan models, quality pre-owned vehicles in a large variety of makes and models, an affordable payment savvy finance department, as well as a professionally trained service and parts center to serve every customer’s automotive needs. If you’re searching for a new or pre-owned Nissan with low monthly payments, come by the Nissan South Union City’s dealership. We look forward to assisting you find the car, truck, SUV or minivan that you want. 20/30 City/Highway MPG Nissan South Union City also offers automotive loan financing through our Finance Department. Ask one of our finance managers about our Credit Assistance Program. Our dedicated team of sales and finance associates treat our customers with care and take your automotive concerns seriously. Our mission is for you to have a pleasurable car-buying experience with us and see you drive away in your new or used Nissan! Come by our dealership at 4080 Jonesboro Road in Union City or call us at (770) 964-4900. We look forward to assisting all our customers in the greater Atlanta area. Pearl White 2019 Nissan Maxima SR FWD CVT with Xtronic 3.5L 6-Cylinder Nissan South Union City conveniently located off Interstate 85 South at 4080 Jonesboro Rd, Union City, GA operates on our solid reputation of having the latest Nissan models, quality pre-owned vehicles in a large variety of makes and models, an affordable payment savvy finance department, as well as a professionally trained service and parts center to serve every customer’s automotive needs. If you’re searching for a new or pre-owned Nissan with low monthly payments, come by the Nissan South Union City’s dealership. We look forward to assisting you find the car, truck, SUV or minivan that you want. 20/30 City/Highway MPG Nissan South Union City also offers automotive loan financing through our Finance Department. Ask one of our finance managers about our Credit Assistance Program. Our dedicated team of sales and finance associates treat our customers with care and take your automotive concerns seriously. Our mission is for you to have a pleasurable car-buying experience with us and see you drive away in your new or used Nissan! Come by our dealership at 4080 Jonesboro Road in Union City or call us at (770) 964-4900. We look forward to assisting all our customers in the greater Atlanta area. Sunset 2019 Nissan Maxima SR FWD CVT with Xtronic 3.5L 6-Cylinder Nissan South Union City conveniently located off Interstate 85 South at 4080 Jonesboro Rd, Union City, GA operates on our solid reputation of having the latest Nissan models, quality pre-owned vehicles in a large variety of makes and models, an affordable payment savvy finance department, as well as a professionally trained service and parts center to serve every customer’s automotive needs. If you’re searching for a new or pre-owned Nissan with low monthly payments, come by the Nissan South Union City’s dealership. We look forward to assisting you find the car, truck, SUV or minivan that you want. 20/30 City/Highway MPG Nissan South Union City also offers automotive loan financing through our Finance Department. Ask one of our finance managers about our Credit Assistance Program. Our dedicated team of sales and finance associates treat our customers with care and take your automotive concerns seriously. Our mission is for you to have a pleasurable car-buying experience with us and see you drive away in your new or used Nissan! Come by our dealership at 4080 Jonesboro Road in Union City or call us at (770) 964-4900. We look forward to assisting all our customers in the greater Atlanta area. Super Black 2019 Nissan Maxima 3.5 SL FWD CVT with Xtronic 3.5L 6-Cylinder Nissan South Union City conveniently located off Interstate 85 South at 4080 Jonesboro Rd, Union City, GA operates on our solid reputation of having the latest Nissan models, quality pre-owned vehicles in a large variety of makes and models, an affordable payment savvy finance department, as well as a professionally trained service and parts center to serve every customer’s automotive needs. If you’re searching for a new or pre-owned Nissan with low monthly payments, come by the Nissan South Union City’s dealership. We look forward to assisting you find the car, truck, SUV or minivan that you want. 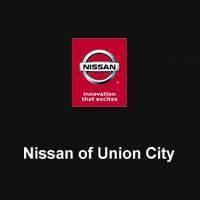 20/30 City/Highway MPG Nissan South Union City also offers automotive loan financing through our Finance Department. Ask one of our finance managers about our Credit Assistance Program. Our dedicated team of sales and finance associates treat our customers with care and take your automotive concerns seriously. Our mission is for you to have a pleasurable car-buying experience with us and see you drive away in your new or used Nissan! Come by our dealership at 4080 Jonesboro Road in Union City or call us at (770) 964-4900. We look forward to assisting all our customers in the greater Atlanta area. Pearl White 2019 Nissan Maxima Platinum FWD CVT with Xtronic 3.5L 6-Cylinder Nissan South Union City conveniently located off Interstate 85 South at 4080 Jonesboro Rd, Union City, GA operates on our solid reputation of having the latest Nissan models, quality pre-owned vehicles in a large variety of makes and models, an affordable payment savvy finance department, as well as a professionally trained service and parts center to serve every customer’s automotive needs. If you’re searching for a new or pre-owned Nissan with low monthly payments, come by the Nissan South Union City’s dealership. We look forward to assisting you find the car, truck, SUV or minivan that you want. 20/30 City/Highway MPG Nissan South Union City also offers automotive loan financing through our Finance Department. Ask one of our finance managers about our Credit Assistance Program. Our dedicated team of sales and finance associates treat our customers with care and take your automotive concerns seriously. Our mission is for you to have a pleasurable car-buying experience with us and see you drive away in your new or used Nissan! Come by our dealership at 4080 Jonesboro Road in Union City or call us at (770) 964-4900. We look forward to assisting all our customers in the greater Atlanta area. Red 2018 Nissan Maxima Platinum FWD CVT 3.5L 6-Cylinder Nissan South Union City conveniently located off Interstate 85 South at 4080 Jonesboro Rd, Union City, GA operates on our solid reputation of having the latest Nissan models, quality pre-owned vehicles in a large variety of makes and models, an affordable payment savvy finance department, as well as a professionally trained service and parts center to serve every customer’s automotive needs. If you’re searching for a new or pre-owned Nissan with low monthly payments, come by the Nissan South Union City’s dealership. We look forward to assisting you find the car, truck, SUV or minivan that you want. 21/30 City/Highway MPG Nissan South Union City also offers automotive loan financing through our Finance Department. Ask one of our finance managers about our Credit Assistance Program. Our dedicated team of sales and finance associates treat our customers with care and take your automotive concerns seriously. Our mission is for you to have a pleasurable car-buying experience with us and see you drive away in your new or used Nissan! Come by our dealership at 4080 Jonesboro Road in Union City or call us at (770) 964-4900. We look forward to assisting all our customers in the greater Atlanta area. Super Black 2018 Nissan Maxima Platinum FWD CVT 3.5L 6-Cylinder Nissan South Union City conveniently located off Interstate 85 South at 4080 Jonesboro Rd, Union City, GA operates on our solid reputation of having the latest Nissan models, quality pre-owned vehicles in a large variety of makes and models, an affordable payment savvy finance department, as well as a professionally trained service and parts center to serve every customer’s automotive needs. If you’re searching for a new or pre-owned Nissan with low monthly payments, come by the Nissan South Union City’s dealership. We look forward to assisting you find the car, truck, SUV or minivan that you want. 21/30 City/Highway MPG Nissan South Union City also offers automotive loan financing through our Finance Department. Ask one of our finance managers about our Credit Assistance Program. Our dedicated team of sales and finance associates treat our customers with care and take your automotive concerns seriously. Our mission is for you to have a pleasurable car-buying experience with us and see you drive away in your new or used Nissan! Come by our dealership at 4080 Jonesboro Road in Union City or call us at (770) 964-4900. We look forward to assisting all our customers in the greater Atlanta area. Super Black 2019 Nissan Maxima 3.5 SV FWD CVT with Xtronic 3.5L 6-Cylinder Nissan South Union City conveniently located off Interstate 85 South at 4080 Jonesboro Rd, Union City, GA operates on our solid reputation of having the latest Nissan models, quality pre-owned vehicles in a large variety of makes and models, an affordable payment savvy finance department, as well as a professionally trained service and parts center to serve every customer’s automotive needs. If you’re searching for a new or pre-owned Nissan with low monthly payments, come by the Nissan South Union City’s dealership. We look forward to assisting you find the car, truck, SUV or minivan that you want. 20/30 City/Highway MPG Nissan South Union City also offers automotive loan financing through our Finance Department. Ask one of our finance managers about our Credit Assistance Program. Our dedicated team of sales and finance associates treat our customers with care and take your automotive concerns seriously. Our mission is for you to have a pleasurable car-buying experience with us and see you drive away in your new or used Nissan! Come by our dealership at 4080 Jonesboro Road in Union City or call us at (770) 964-4900. We look forward to assisting all our customers in the greater Atlanta area. Red 2018 Nissan Maxima 3.5 S FWD CVT 3.5L 6-Cylinder Nissan South Union City conveniently located off Interstate 85 South at 4080 Jonesboro Rd, Union City, GA operates on our solid reputation of having the latest Nissan models, quality pre-owned vehicles in a large variety of makes and models, an affordable payment savvy finance department, as well as a professionally trained service and parts center to serve every customer’s automotive needs. If you’re searching for a new or pre-owned Nissan with low monthly payments, come by the Nissan South Union City’s dealership. We look forward to assisting you find the car, truck, SUV or minivan that you want. 21/30 City/Highway MPG Nissan South Union City also offers automotive loan financing through our Finance Department. Ask one of our finance managers about our Credit Assistance Program. Our dedicated team of sales and finance associates treat our customers with care and take your automotive concerns seriously. Our mission is for you to have a pleasurable car-buying experience with us and see you drive away in your new or used Nissan! Come by our dealership at 4080 Jonesboro Road in Union City or call us at (770) 964-4900. We look forward to assisting all our customers in the greater Atlanta area.